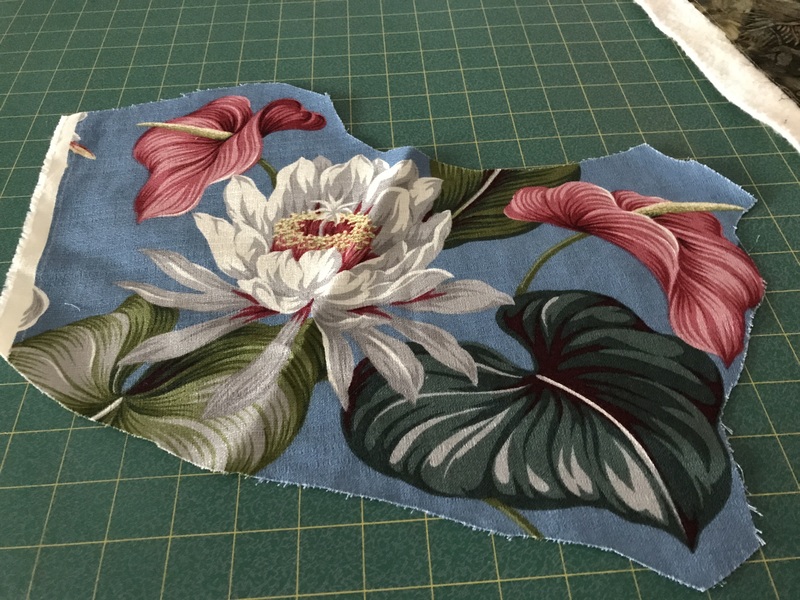 Yesterday I finished a second leaf. 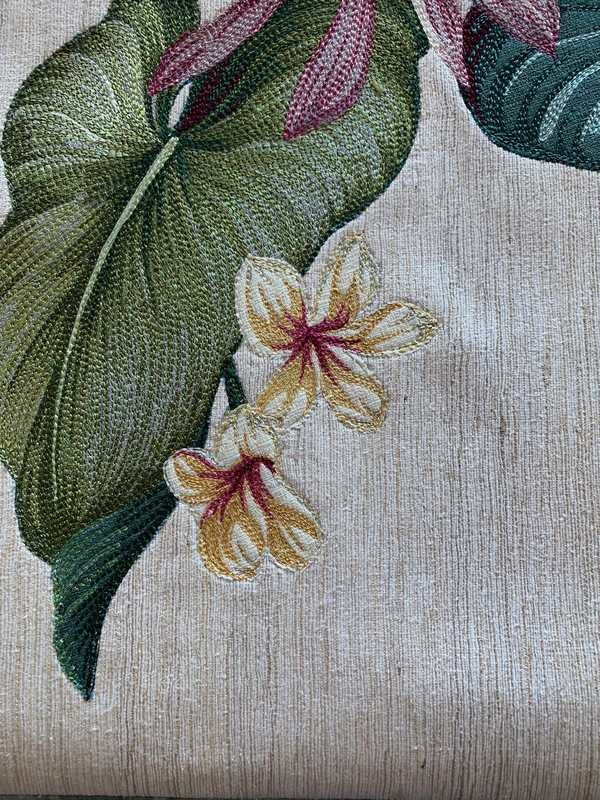 For the moment I’ve left the medium teal unstitched and I think I like how it looks. 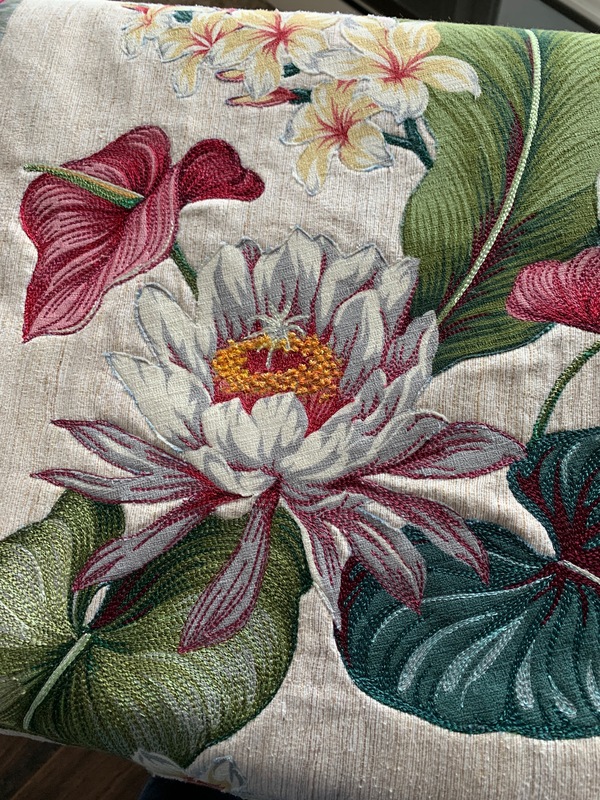 I’ve covered the grey with the light teal thread and the dark areas are stitched but I like the texture leaving the medium coloured area as is, for now, at least. 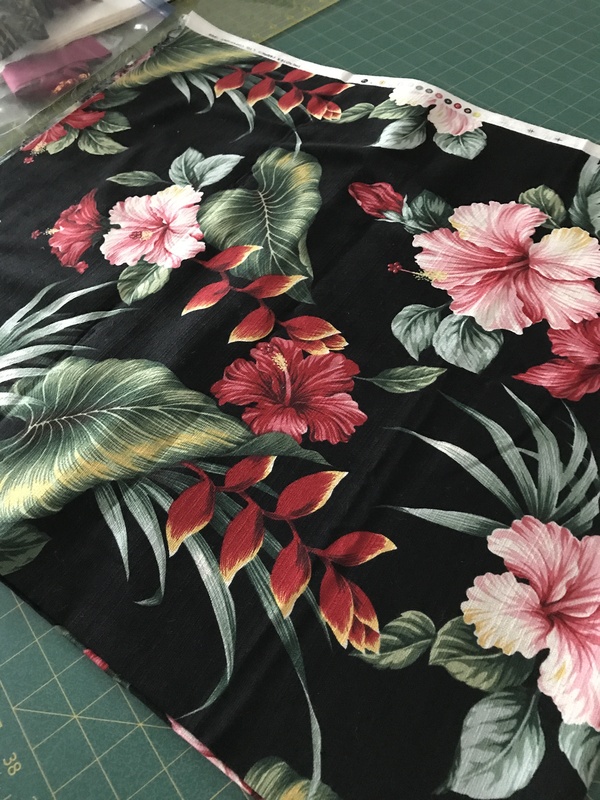 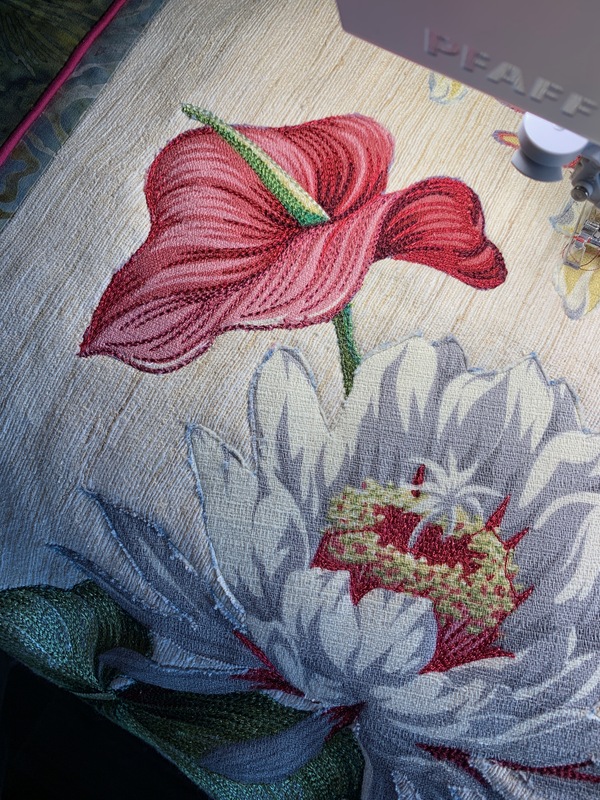 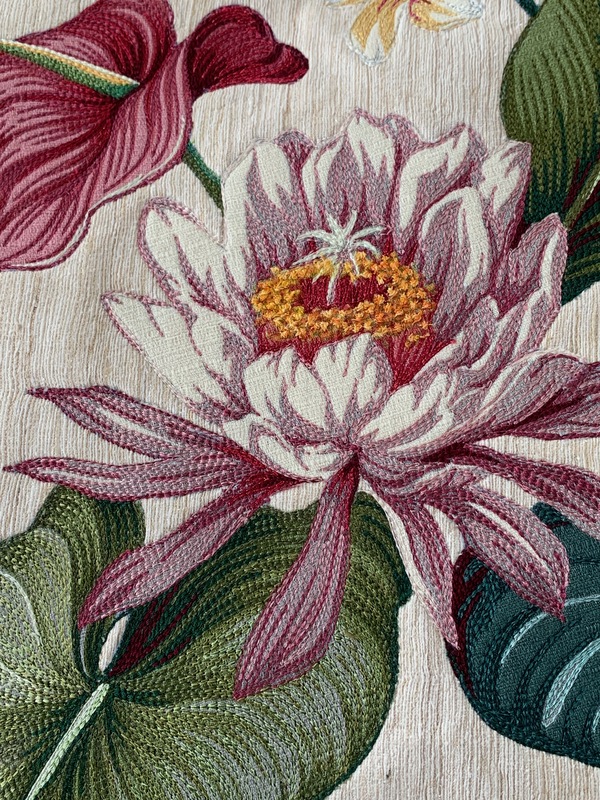 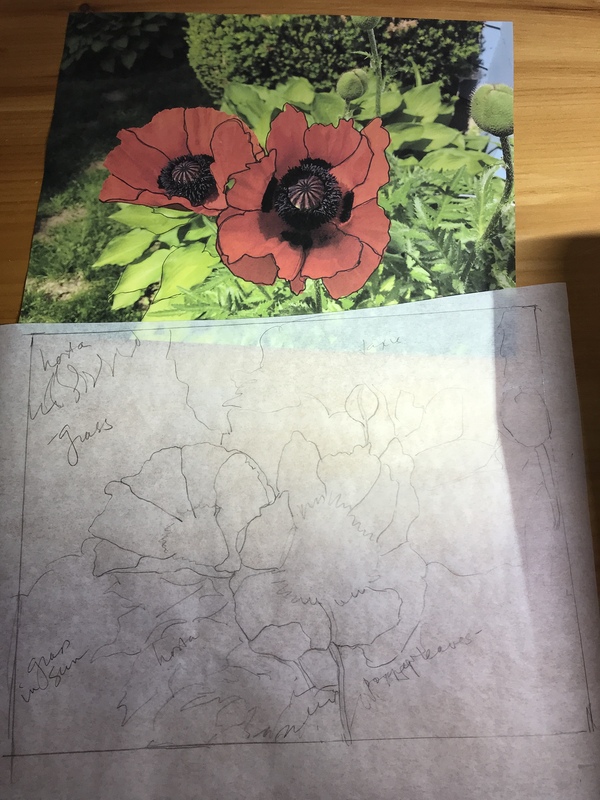 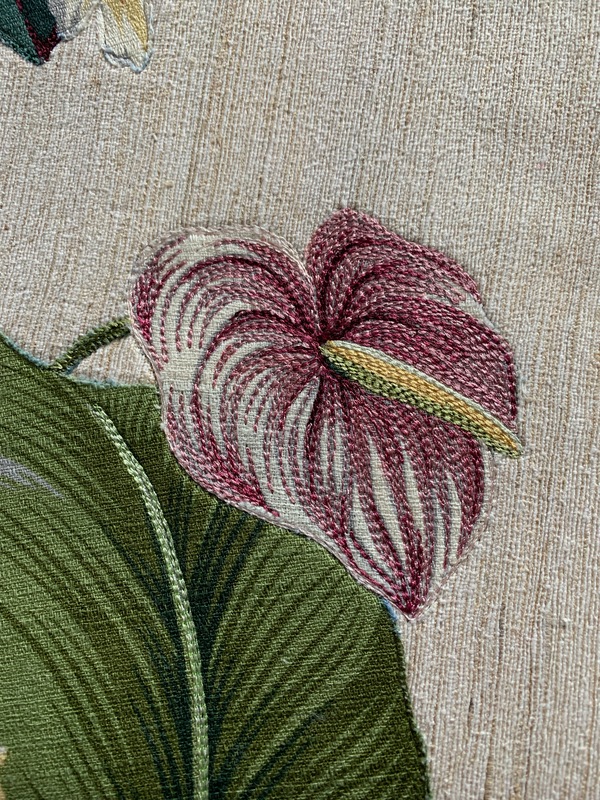 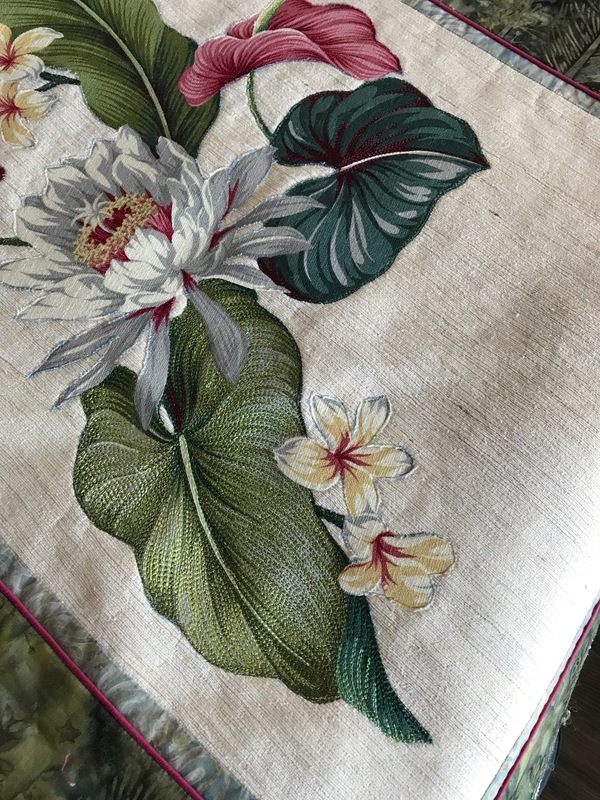 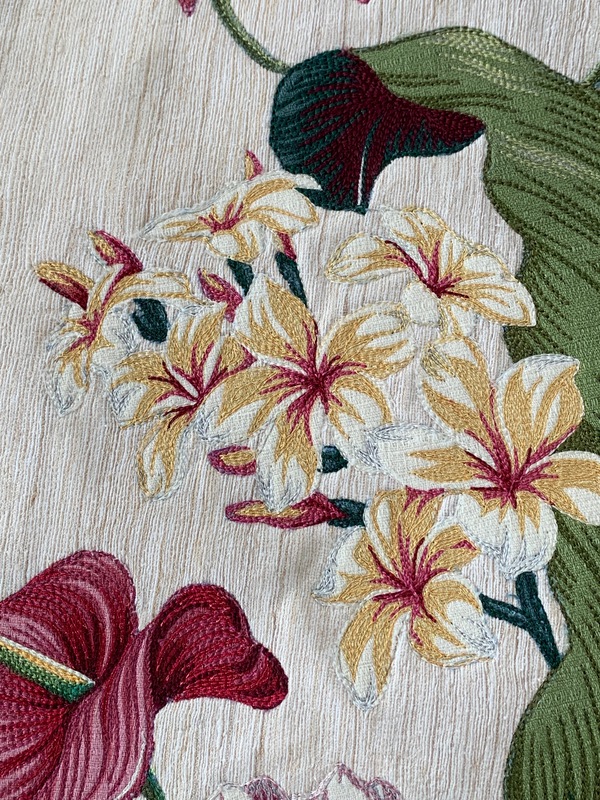 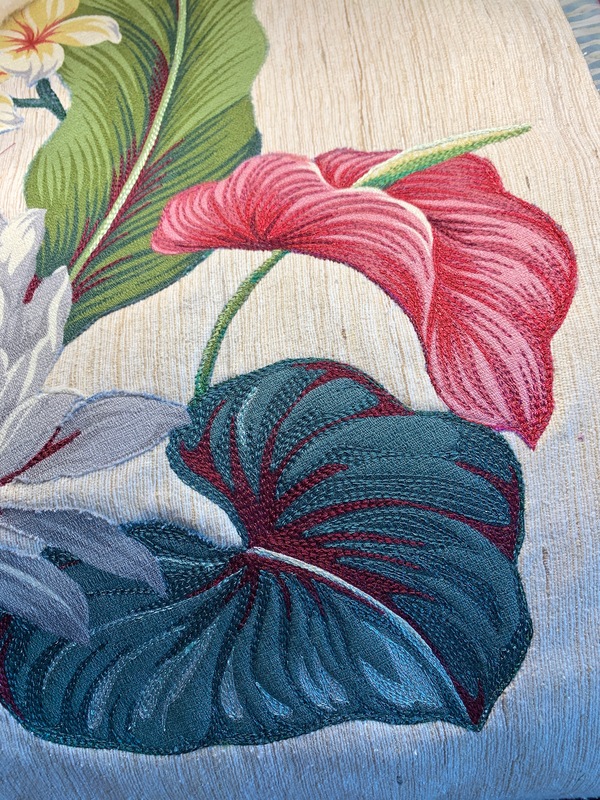 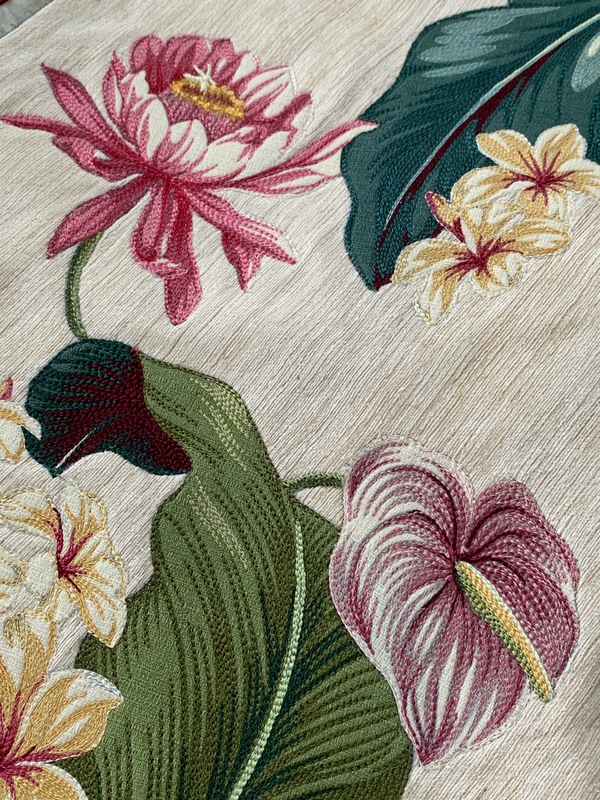 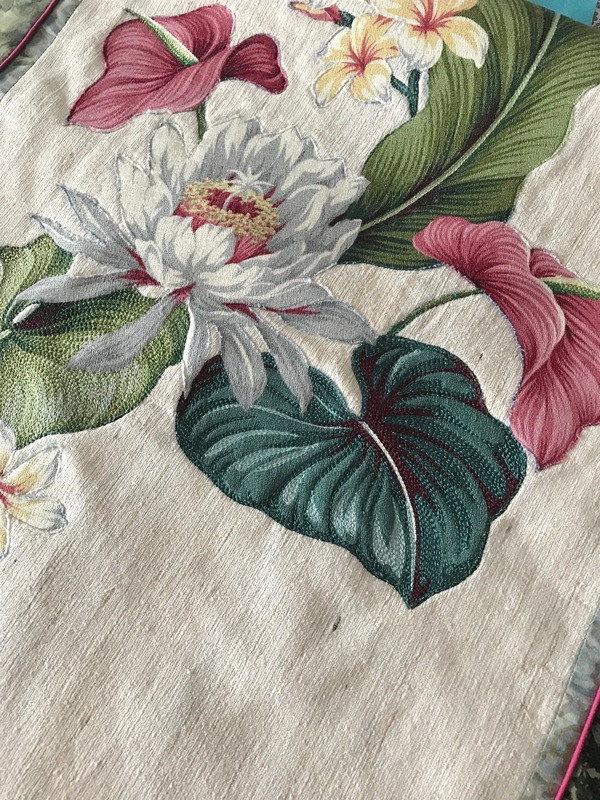 Next I will tackle the red/pink anthuriums – they will actually be a bit easier to work on because the colour moves in a way that will make the stitching flow. Probably not today, though. 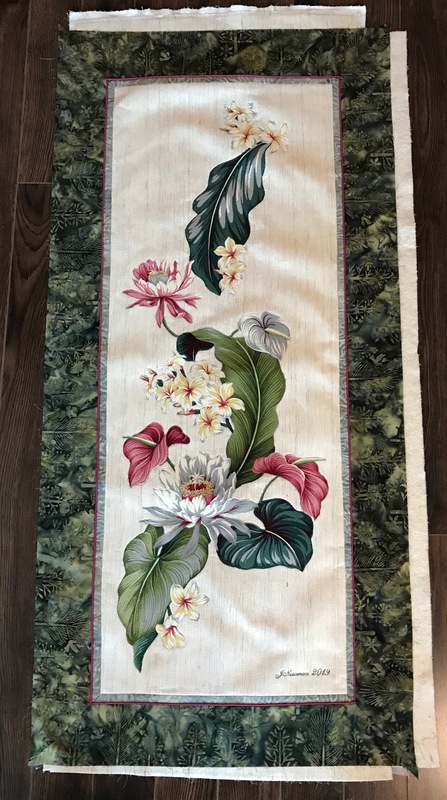 This morning I went back to the double convergence quilt top.